From diagnostics and planification to design and fabrication, allowing for the patient to see the final results of treatment before starting. 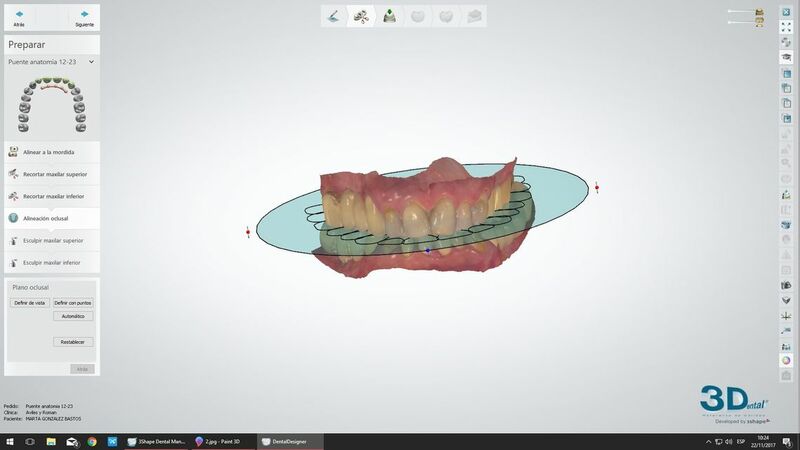 A new dental concept which includes 360º Digital Processes. 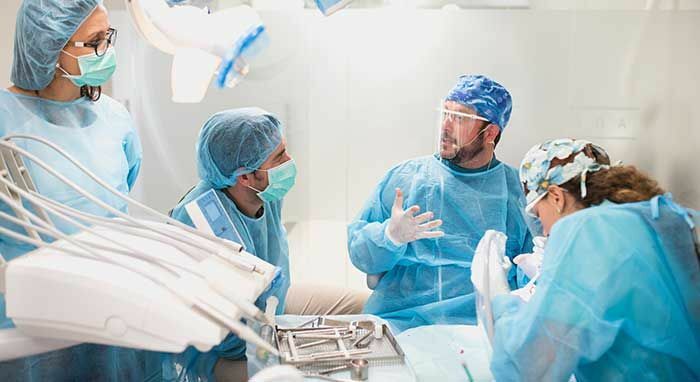 Computer-based planification will allow Dr. Pablo Avilés to design the exact procedure for Minimally Invasive Surgery accurately. 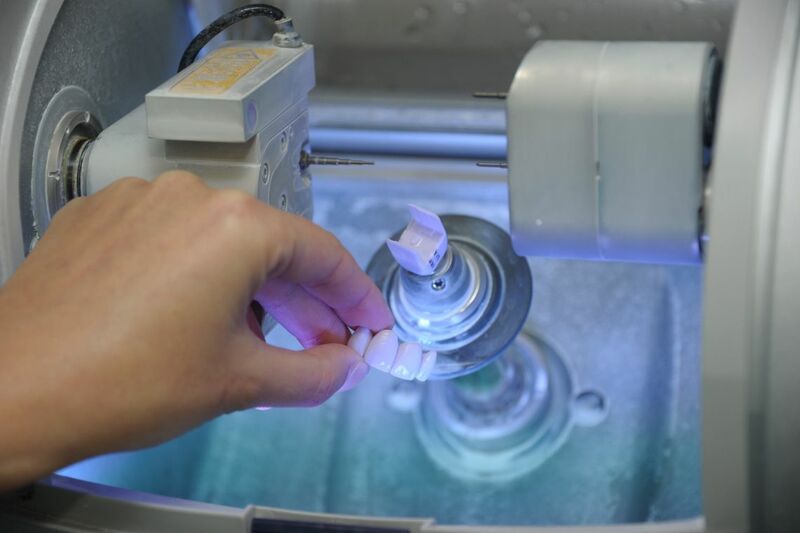 In our lab, we fabricate personalised guides which allow the placement of implants at the exact position. 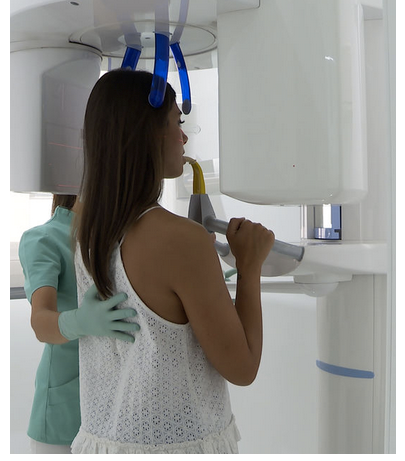 To study the dental and facial morphology of the patient as well as the bone structure in which the implant will be placed, we will carry out a prior study through video, photography and 3D imaging with an intraoral scanner and TAC (low radiation radiography). 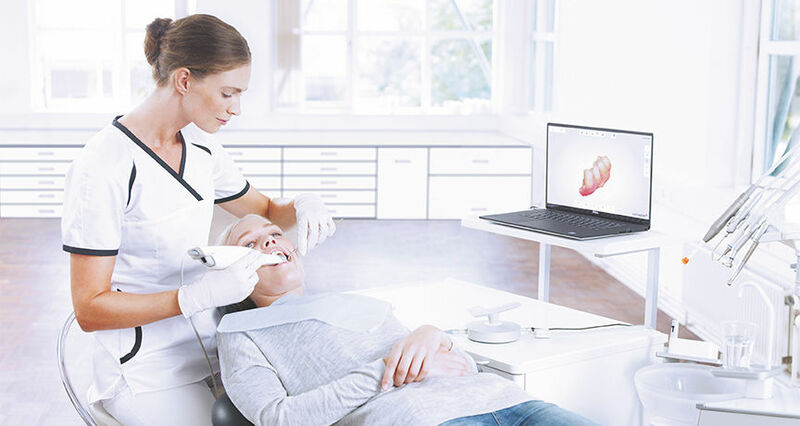 The planification phase starts with intraoral scanning. 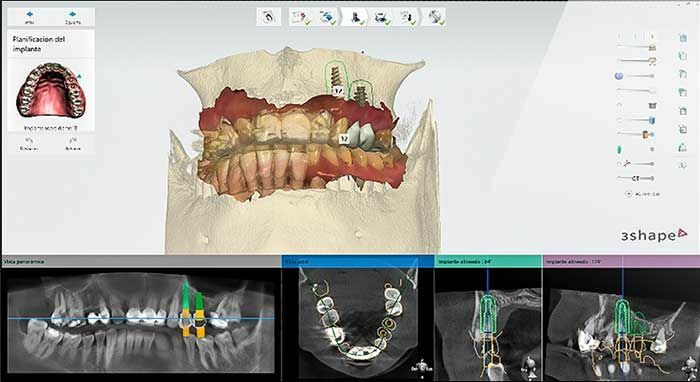 The first step to ensuring the success of digitally designed treatments is to obtain accurate information from the patient’s mouth. 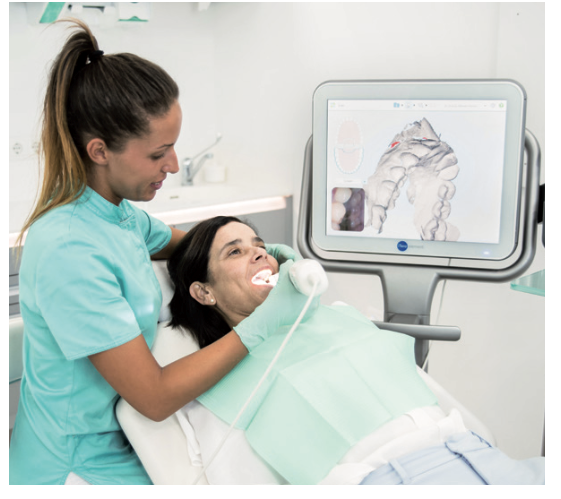 In our Clinic we operate a Trios scanner by 3Shape and Cerec, a solution which enables our dentists to capture the intraoral situation precisely to plan for implant surgery. 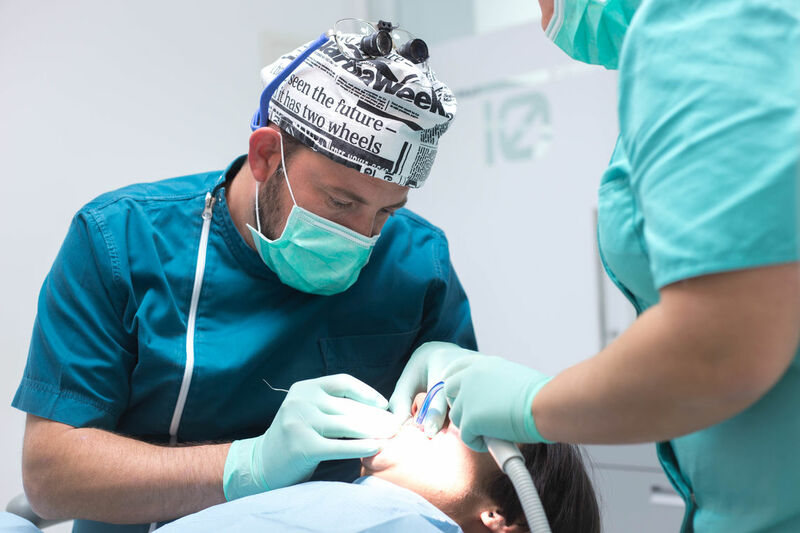 We complete the prior study for diagnostic treatment with photography and video which provide data about the patient’s dental and facial morphology. We also carry out low radiation radiography (TAC) to study the bone structure in which the implant will settle. 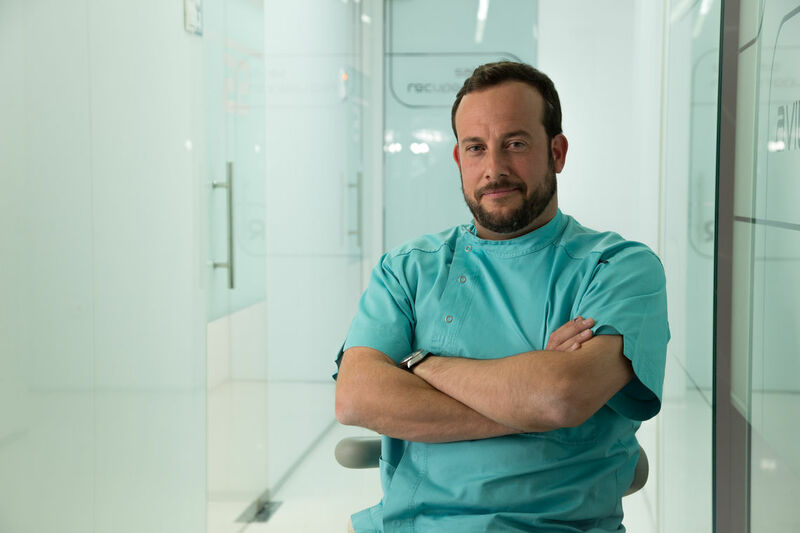 Computer-based planification allows Dr. Pablo Avilés to design the exact procedure for Minimally Invasive Surgery accurately. 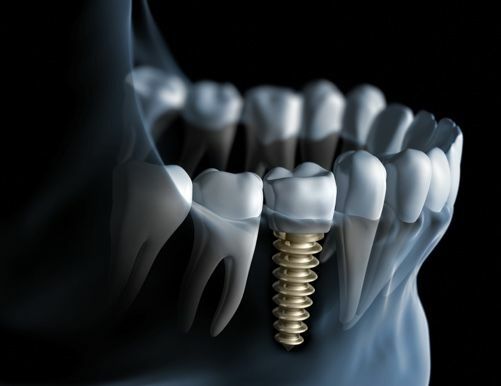 Depending on the bone structure and number of teeth which need to be replaced, we establish the required number of implants and their inclination to achieve perfect adjustment. 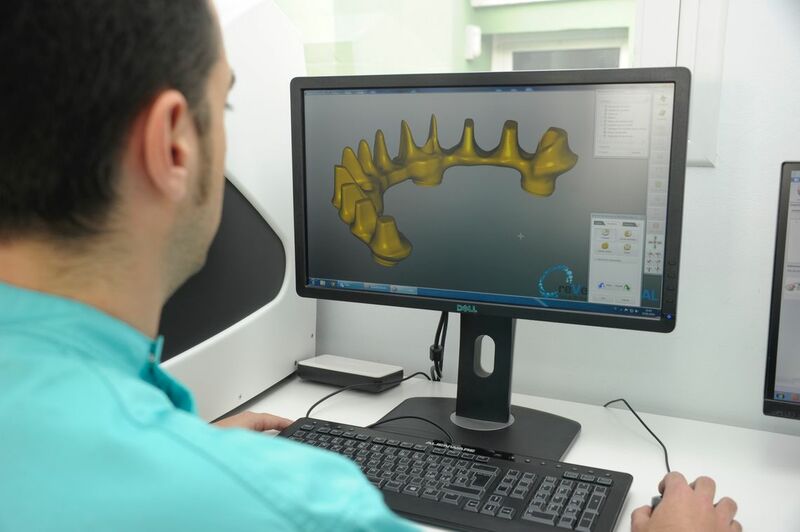 Using state of the art software, our specialists will design the best fitting dental rehabilitation, according to the needs of the patient, and the surgical guides to ensure the highest precision and accuracy of final results. 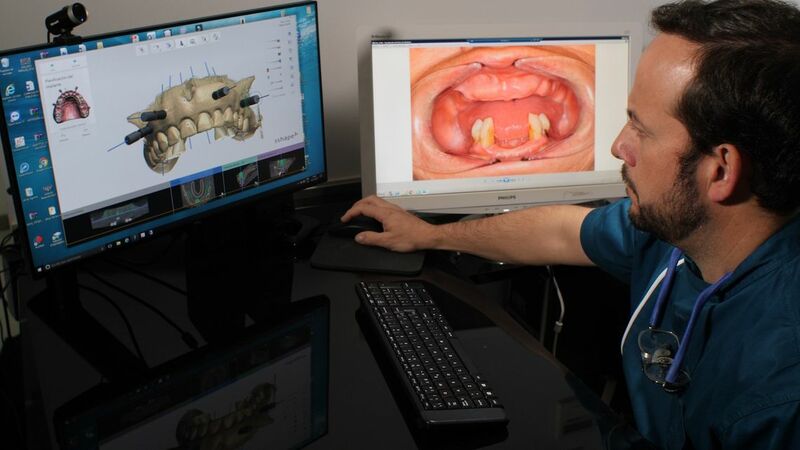 We will design and create the final attached (fixed) prostheses through a computer-based process and then personalise them artisanally, so the patient may resume chewing the same day of the surgery. 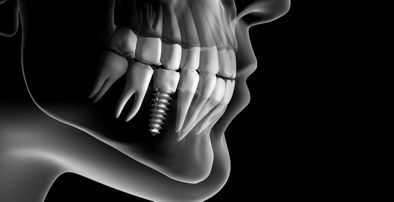 Once we proceed into the surgical phase, we carry out bone regeneration or grafting, if necessary, and the placing of dental implants. 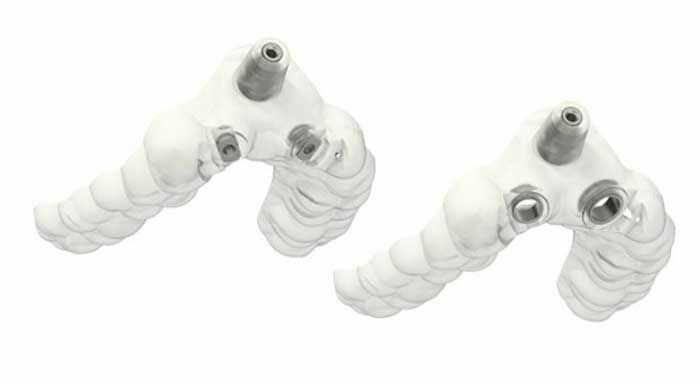 Finally, we carry out the placement of dental prostheses. 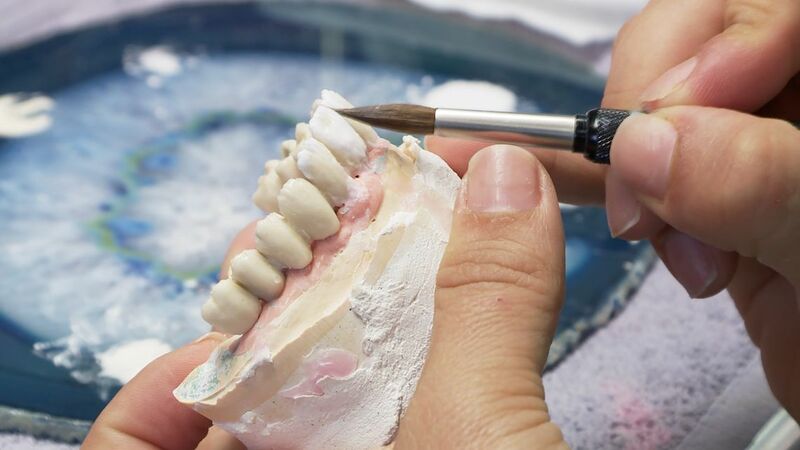 Because we have our own laboratory, our own dental technicians create the provisional fixed dental prostheses which the doctor adjusts immediately on the patient. The patient recovers his ability to ches and smile in only one day.